Shift is all about streamlining your workflow, like a boss. Get sh*t done across Mail, Calendar & Drive. Access Boomerang, Grammarly, Google Services, and all of your favorite apps. Did we mention Unified Search? 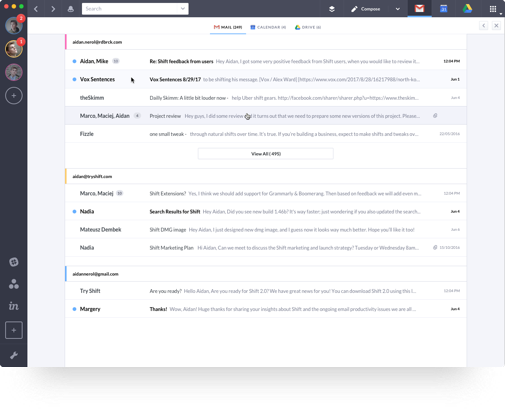 Switch between all of your Mail, Calendar & Drive accounts, with just one click! Shift is a handsome solution to the mess. Say goodbye to the multiple tab, logging-in-logging-out nightmare! Customize native notifications, or auto-mute them when you're in meetings! Time To Get Shift Done? Our latest release, Shift 3.0, is all that and more. We've added Advanced features like Unified Search, Boomerang, Grammarly, Google Services & access to all of your favorite web apps. What's New With Shift 3.0? 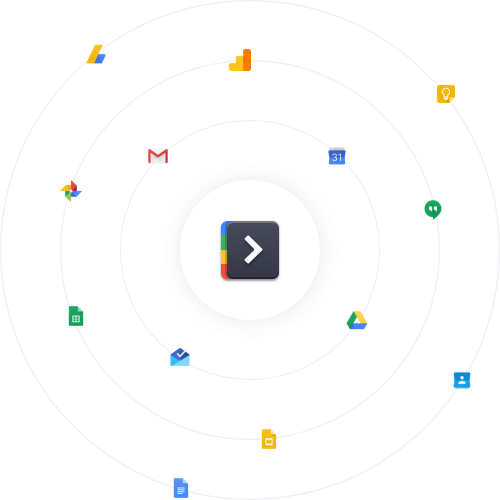 Enjoy easy access to Google services, and integrations for all of the most popular applications, too! 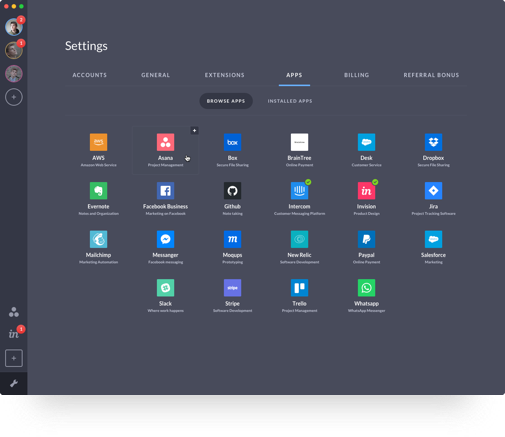 Shift takes the one-click solution to the logging-in-logging-out nightmare a few steps further, applying it to Google Services, Slack, Invision, Trello, Jira, Asana... the list goes on! Yes, it's true! 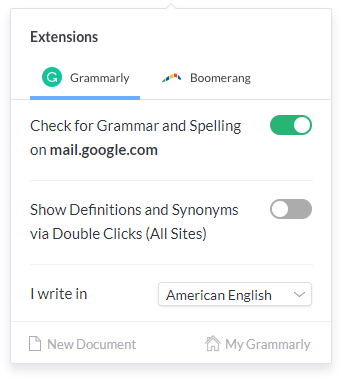 Shift Advanced offers support for both Boomerang & Grammarly (and more coming soon!). With all of your favorite productivity tools, under one roof, you're truly unstoppable. 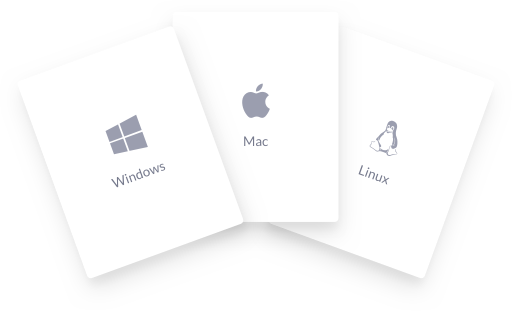 Shift works beautifully on Windows, Mac, and Linux - independent of a browser, and grouped by account. Add Gmail, Outlook, and Office 365 accounts! Shift is the number one way users, just like you, GSD.